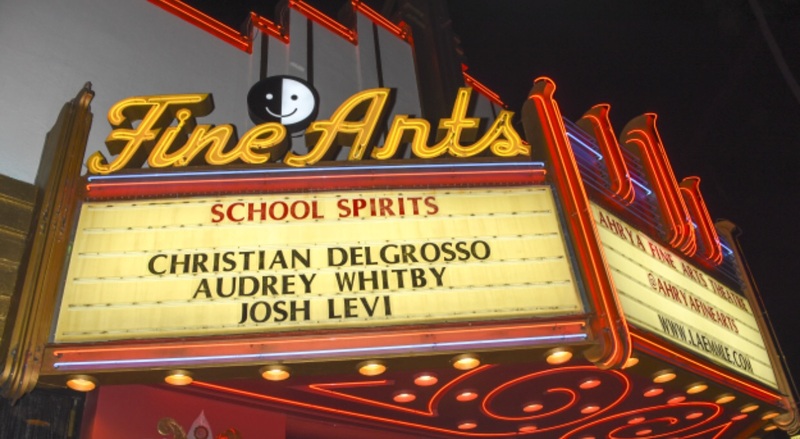 October 9th, 2017 – Los Angeles – Friday night, celebrities, teen influencers, youtube personalities, and movie enthusiasts all gathered at the Ahrya Fine Arts Theater in Beverly Hills for the theatrical premiere of the upcoming teen-flick, School Spirits! 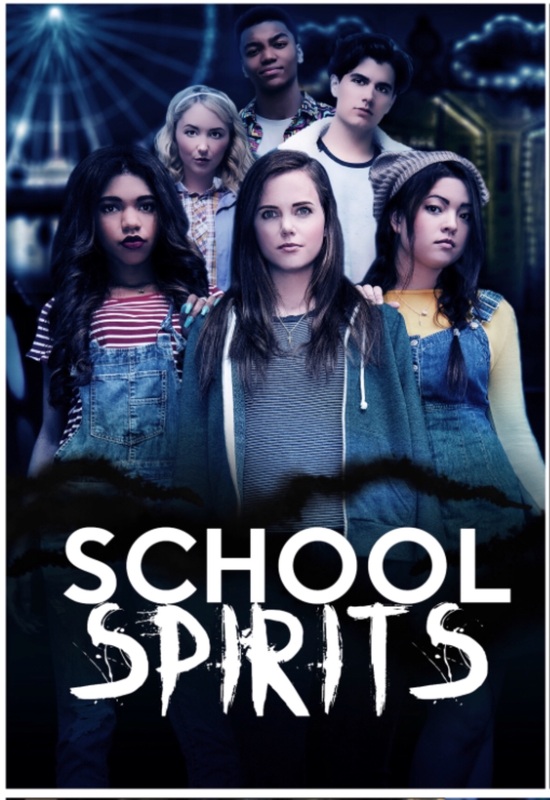 School Spirits is about new girl Zoey (Tiffany Alvord), who discovers that the small town she now calls home is hiding a few big secrets when she witnesses teen duo Morgan (Teala Dunn) and Tara (Piper Curda) hunting ghosts in the local high school. Resolved to put her past behind her and find real friendships, Zoey rounds out the trio as they prepare to fight a paranormal menace named Canaldi (Alysia Reiner) who’s just blown into town with her creepy carnival. Molly Jackson (Andi Mack), Dylan Summerall (Influencer), Vanessa and Veronica Merrell (Youtube Stars), Bryce Xavier (Actor), Alex Terranova (Model), Jessie Paege (Influencer), Ryan Ochoa (Disney Channel, A Pair of Kings), Shelby Wulfert (Liv and Maddie), Ava Cantrell (Lights Out), Camille Hyde (American Vandal), Madeline Whitby (Betch), Talon Reid (DJ), Aiden Miner (School of Rock), Mikalah Styles (Model), Lela Brown (Radio Disney), Killia Marynska (Model) , Vicellous Shannon (The Recall), Julian Jara and Jovani Jara (Influencers), Celeste Thorson (A Kid Called Mayonnaise), Chloe Noelle (True Blood), and Katherine Castro (Reinbou). Investors Invico Capital, Guy Griffithe, and Sensory Overload Music were in attendance as well.